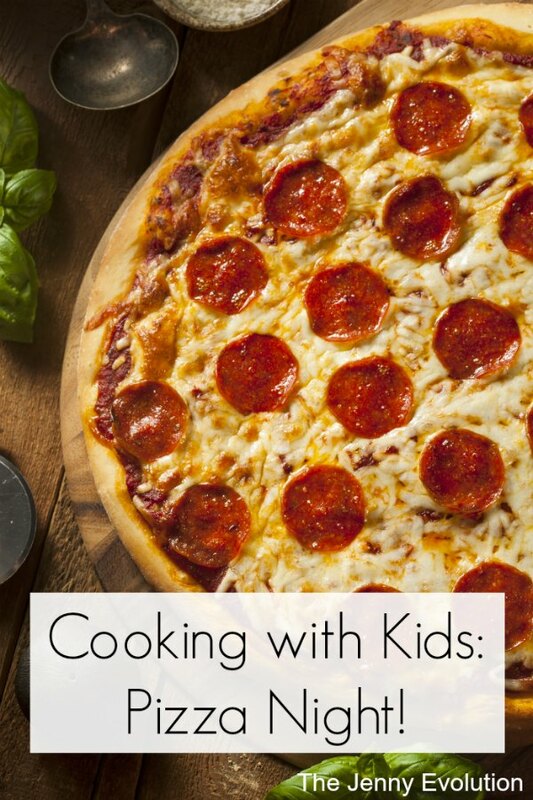 Cooking with Kids: Pizza Night! If there is one activity that naturally has tons of sensory experiences wrapped up in one… it would be cooking. 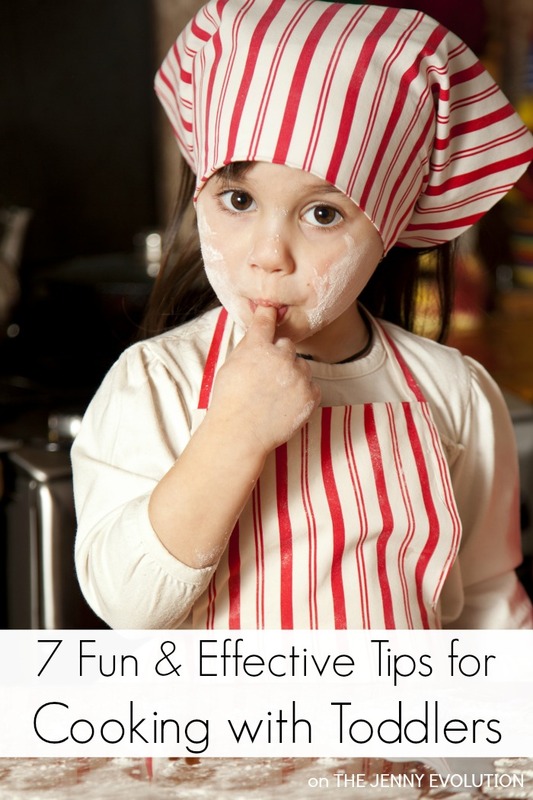 Get your kids using their muscles, fine motor skills, olfactory systems and more by getting your kiddos into the kitchen. Cooking with kids can be tough — particularly because of limited attention spans. The first item I taught my kids to make was actually their own pizzas. Um… did someone say pizza night?!? Cooking with kids is not only one of the best sensory experiences for children, but it also starts teaching kids how food makes it to their table and help them develop an appreciation for those (ahem, moms) who often do most of the cooking. Note: This post contains affiliate link. Approaching the kitchen doesn’t have to be difficult. 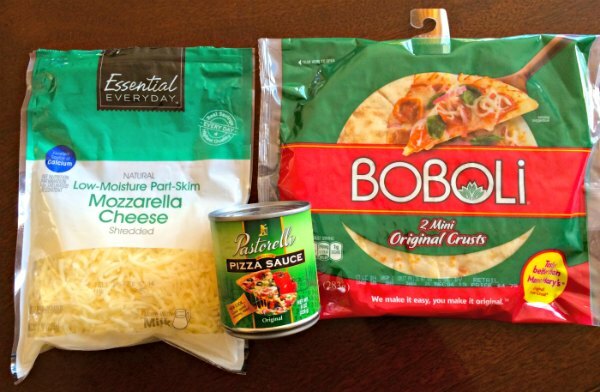 Making your pizza can be an easy peasy lemon squeezy activity that everyone loves. In fact, my boys now would prefer to make their own pizzas rather than order. That’s a win in my book! 1. Place the individual pizza crusts on a cookie sheet. Preheat the oven. 2. Pour a small amount of olive oil into a bowl. Also pour the pizza sauce into a bowl for easy access for the kiddos. 3. Using a basting brush, lightly baste the pizza crust with olive oil. 4. 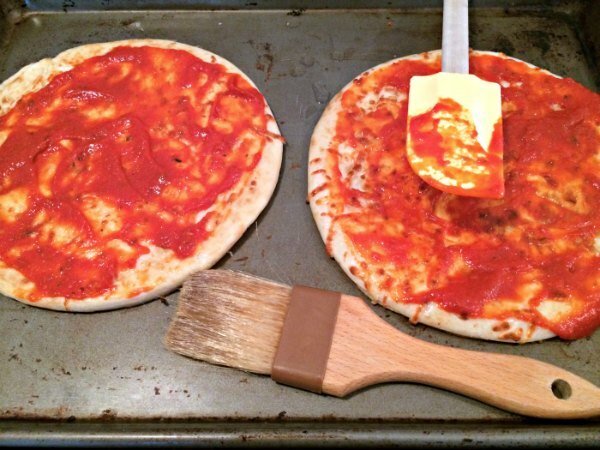 Place a large spoonful of pizza sauce onto the crust and spread it around. You’ll be surprised… a little goes a long way. If you put too much on, you’ll just have sauce all over the place when you go to eat it. 5. Sprinkle mozzarella cheese over the crust. Again, a little goes a long way. 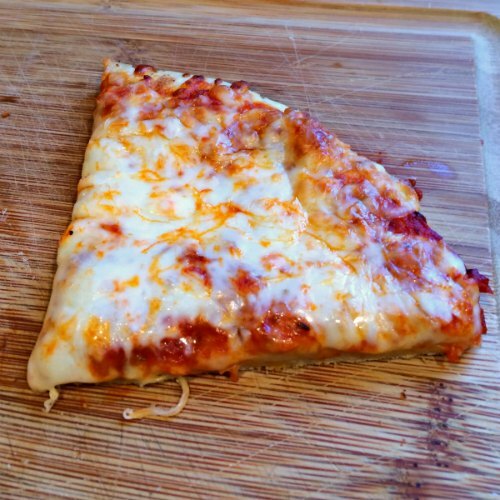 The pizza doesn’t have to be completely covered to get a good covering of cheese after it’s cooked. 6. Have the kids add toppings. One of my kiddos prefers cheese pizza. The other one has finally been venturing out and trying pepperoni. If you do use fresh veggies, know that they can release a lot of water when they bake… so go easy on how much you put on. 7. Cook! And be aware that some kids really don’t like it when their pizza crust is browned. I know my boys don’t! I’ve joined Study at Home Mama with a whole host of other fellow bloggers to bring you family-friendly food! 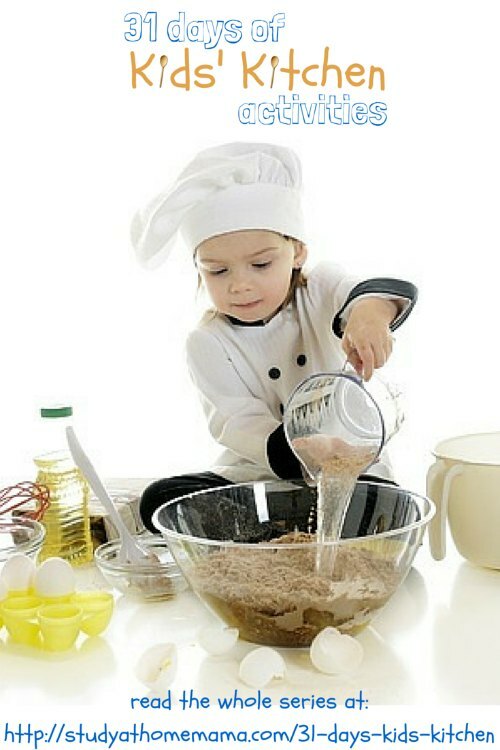 Join us for 31 days of Kids Kitchen Recipes and Activities. love this idea – sensory ‘play’ letting kids explore new tastes AND dinner is served at the end! I love getting the kids active in the kitchen. Even if I’m cooking, I’ll call them to smell an ingredient or try using one of the tools.